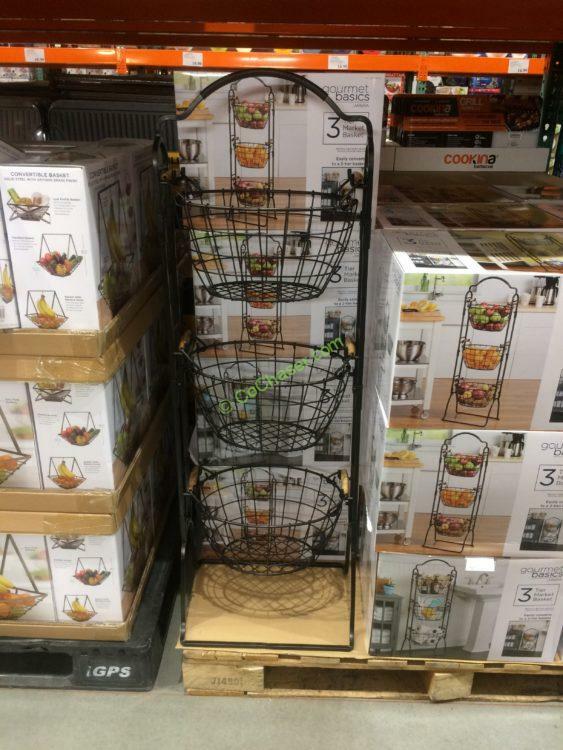 This 3-Tier Market Basket Stand features 3 large baskets, each with natural acacia wood handles for a touch of rustic flair. It looks very attractive with antique black finish and stacked design, an attractive storage solution for any room of the house. The rack easily converts into a 2-tier stand, allowing you to use the remaining basket separately. The entire rack is meticulously handcrafted from solid steel for strength and durability. Wipe clean with a soft, damp cloth.